Trends have always been talked about and most of them are hard to explain and understand but people just can’t seem to pass up on what society think is cool. Many people go above and beyond especially on things that they are most passionate about. Procedures in cosmetic dentistry and teeth whitening by a dentist are ultimately borne out of the demands of patients who want to make their teeth better than ever. Some of these treatments aren’t what these patients really need but more of what they want. Just like those moments when you find tattoos and piercing as good ideas, your entire body can now be improved to make you stand out and your teeth are no exception. Listed below are the strange and even cringe-worthy teeth modifications in the world of dental cosmetic trends that came and went, or so we thought. METAL TEETH. Celebrities and rappers need to stay relevant and cool and they have found new ways to express their artistic side other than their outfits and designer bags. Apparently, having metal teeth is now a trend. This is all thanks to dental veneers and is actually called grills. Many young and hip teenagers are seen sporting this new trend. TEETH GEMS. People love to adorn themselves with crystals and gems and it finally reached the point that they actually want gems on their teeth. Swarovski crystals are attached to people’s tooth with the use of dental adhesive just to make their smile extra sparkly. CROOKED TEETH. Yes, teens want crooked teeth and they are doing it on purpose. Apparently, people have been modifying their teeth to make them look crooked. BLACK TEETH. This trend came all the way from Japan. This practice is called Ohaguro where they mix iron fillings with vinegar and paints it to the teeth to protect the tooth’s enamel from tooth decay and cavities. This is comparable to dental sealants in modern-day dentistry. TOOTH SHARPENING. There was a time when people became obsessed over vampire movies and shows that a trend popped where the canines of patients were filed to make them look like fangs. Call it extreme obsession but tooth sharpening has been going on for many years. This may sound odd but the practice of sharpening the two incisors isn’t much of a taboo on many places like Mexico, Congo, and is even considered a part of the culture and spiritual practices of the Aborigines. Even the Vikings modified their teeth to look like fangs to make them look and appear terrifying. 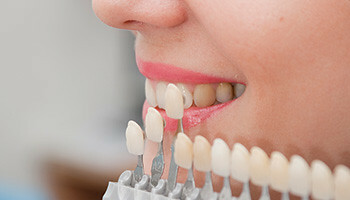 Taking care of your teeth and making adjustments or modifications is all up to you. You can stick to having natural teeth or follow trends. If these procedures make you feel good about yourself, then by all means do it. The most important thing is to consult your dentist if any modification would potentially damage or harm your dental and oral health. Improving your appearance is not bad and modifications can be altered. So if you’re bold and adventurous, choose a trend and rock it. This entry was posted in Chicago Teeth Whitening on January 5, 2019 by alona.